I can eat rice morning, noon and night; but sometimes even this rice lover can use a change. 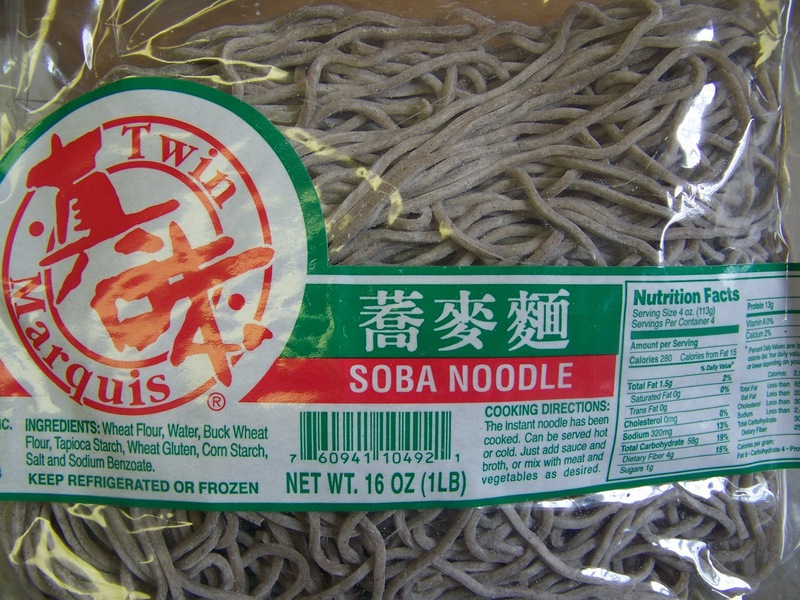 That's just what I thought of when I spotted soba noodles while I walked through my local Asian Grocery Store. 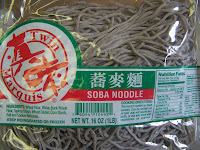 I have been wanting to try soba noodles because they are prepared with buckwheat flour. So when I brought home some precooked soba noodles, I had to think about what dish to make with it. Dinner time was approaching so I decided not to experiment today and just go for a quick vegetable lo mein. Although this is a vegetarian dish, you can stir fry some meat or seafood with the noodles or bump up the protein with tofu as well. 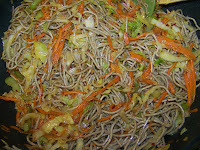 You can also use spaghetti pasta (semolina or whole grain) if you cannot find soba noodles. Optional Ingredients: Thin strips of beef, chicken, pork, whole cleaned shrimp or cubed firm tofu. Note: al dente means pasta cooked so as to be still firm when bitten. 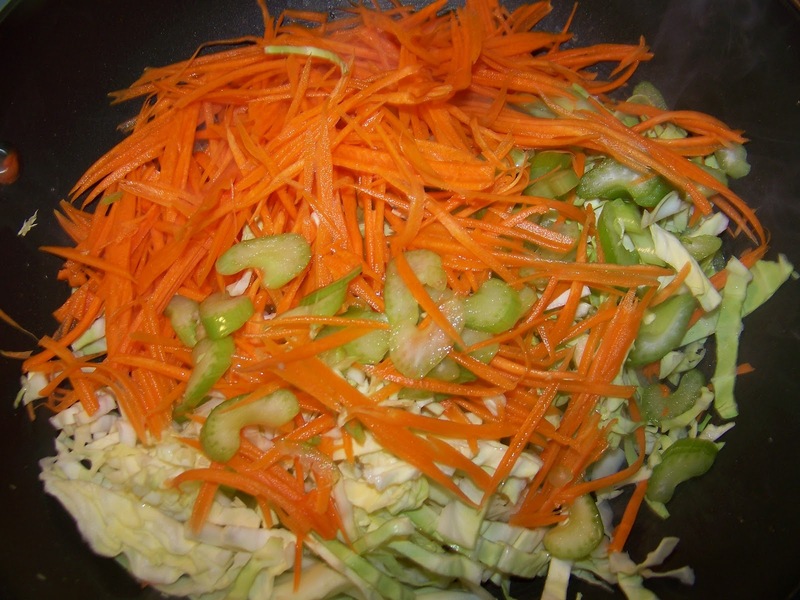 The noodles will continue to cook in the stir fry. If you use precooked soba like I did here, soak in some warm water to soften up before use. Step 1: Prepare your noodles to 1 minute shy of al dente. 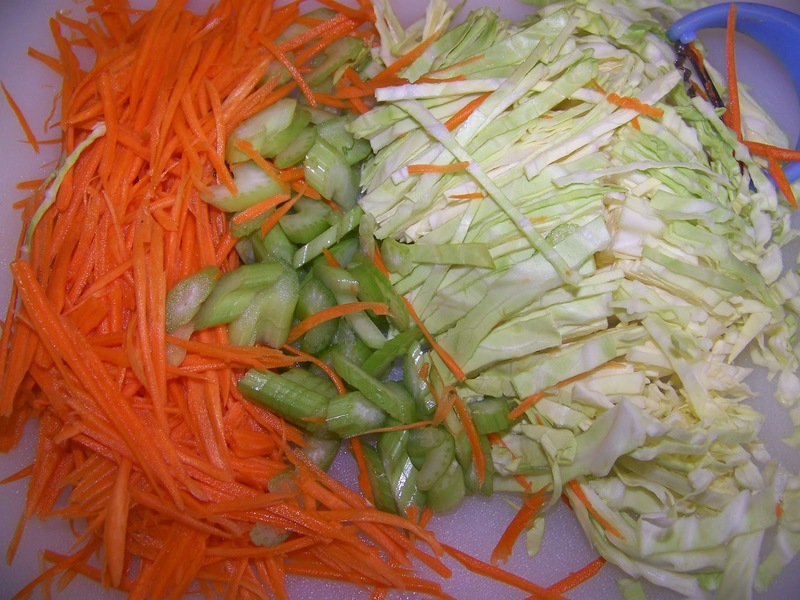 Prepare your vegetables and all seasoning elements. Heat a wok on high heat and add 2Tbs of canola oil. 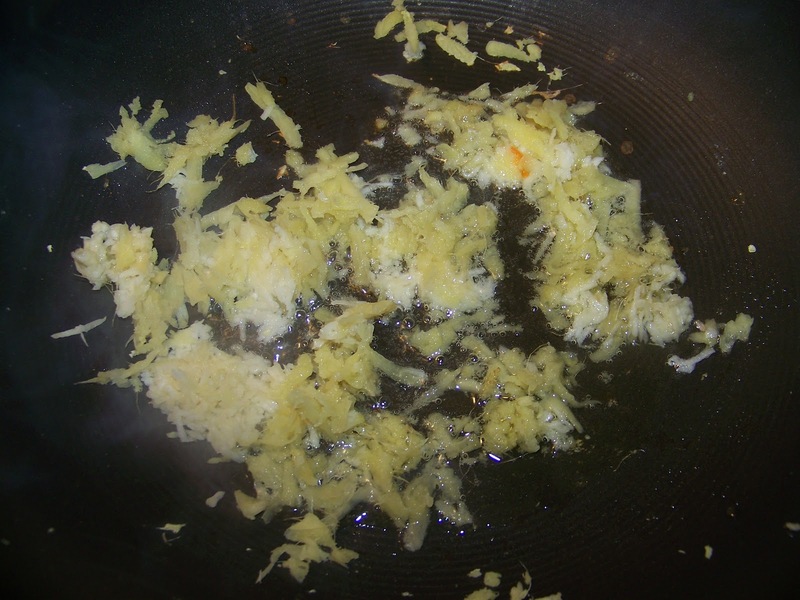 Once heated add your ginger and garlic. Stir fry for 30-45 seconds. *if were going to add meat, seafood or tofu do it next and stir fry for a few minutes. 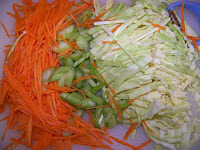 Then add your carrots, celery and cabbage. Once your vegetables soften a bit, add your chili flakes, sesame oil, soy sauce and chicken broth. 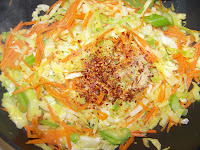 Then add your noodles and toss with all the ingredients. Stir fry for 2-3 minutes and taste for seasoning. Your lo mein is done and you can turn off the stove. Serve hot. Enjoy. Garnish with spring onions if desired. Everytime I pass by in your blog, I have a good surprise. Today it wasn't different. Looks simply tasty! I love soba noodles. This whole dish is just right up my alley! I want to eat this bowl! I wish you were my neighbor! If only I could find wheat free soba type noodles for my daughter. I am saving this recipe and will make it for my husband one of these times when the kids are out and about. Thank you for being such a sweetie! PS...thanks so much for your kind words and condolences. It was truly a joy to celebrate my aunt's life with our family. I love using Soba noodles. I stock up whenever I see them. For some reason they are not always at our local grocery store. This looks like a perfect meal to me! That looks amazing--I really should use soba noodles more, particularly whole-grain ones. This is my kind of meal. 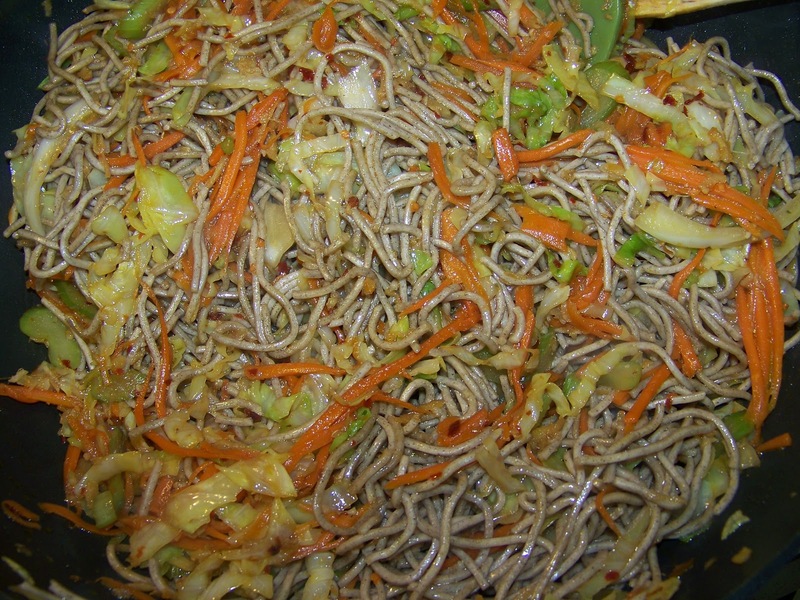 I love rice but soba noodles with the buckwheat are very tasty. Very nice Ramona. Have a wonderful day. LOL My husband would say the same about rice. I like your noodle dish. 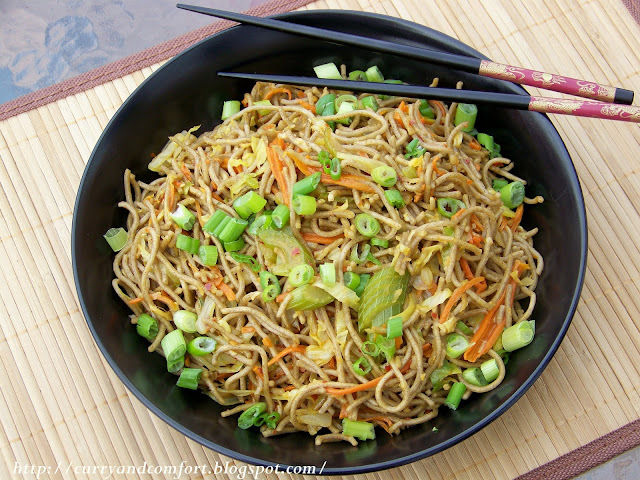 This soba noodle dish looks delicious and healthy! You are amazing! Ramona this looks delicious! I can honestly say I think it's one of the prettiest dishes you've ever made! BRAVO - it's spectacular! This is so weird. I was at the Asian market today and just happen to pick up a bag of soba noodles, having no idea what to do with them since I've never cooked with them. And voila! Here's your wonderful recipe! Now I definitely know what I'm going to do with them! This looks delicious! I love your quick stir fry's! They always look so much better than anything I've had in a restaruant. BTW I do the same thing, buy something at the store, know I'm going to use it for dinner then wait to the last second to figure out what I'll do! I've read that soba noodles are supposed to be the healthiest. Great job on taking a simple dish and making it look absolutely amazing. I'll be on the lookout for the noodles. I'm really loving that first picture. It's looking rather foodgawker-esque...haha ;) Great recipe, I should really get myself to eat this kind of food all the time! 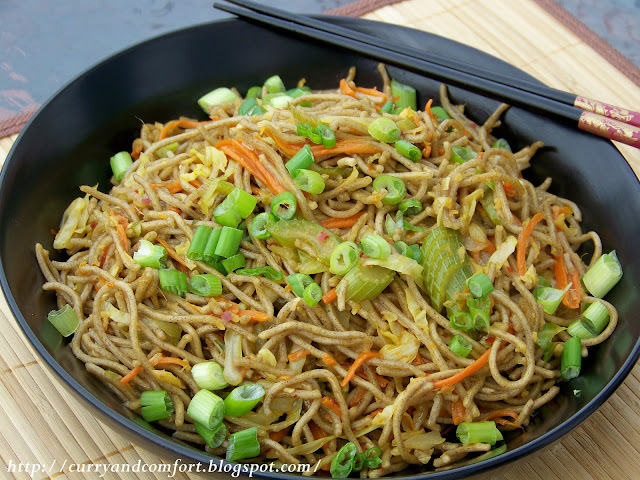 I'm such a fan of stir fries, and my family loves soba noodles. I've used the whole wheat spaghetti, but they don't prefer them.